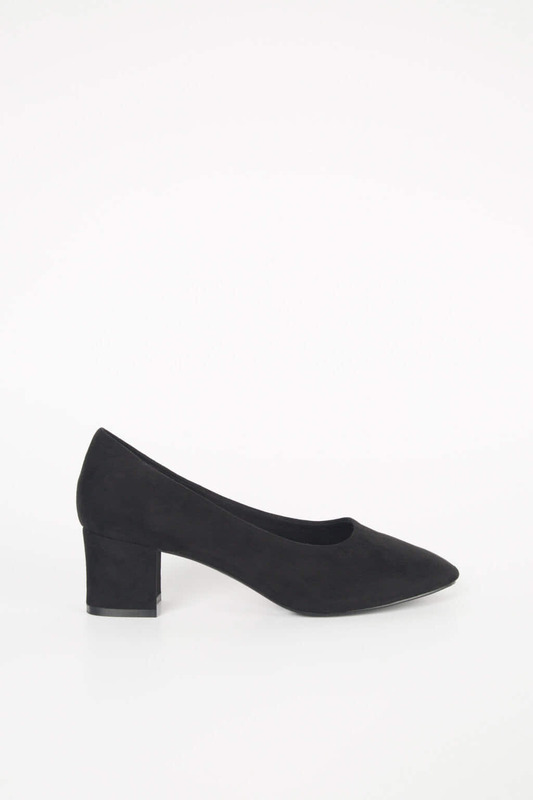 These block shoes have a soft and serene look and feel. 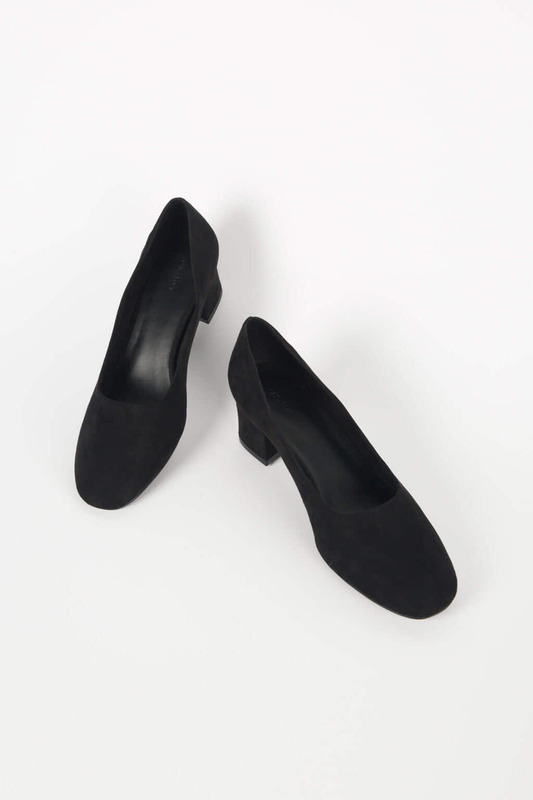 The 2" heel and gently pointed toe give this shoe its classic silhouette. 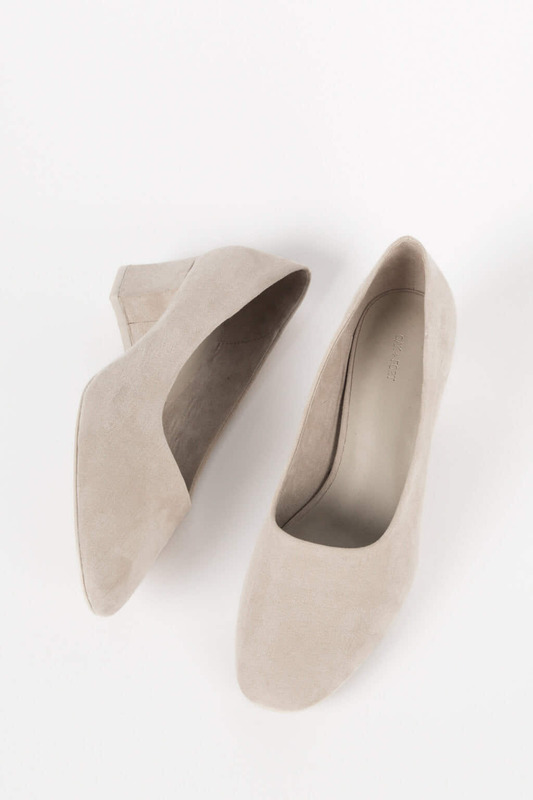 Try pairing these micro-suede heels with an oversized wool cardigan for an elevated cozy look. Fabric Content: Microsuede Vegan Leather Also available in Black. 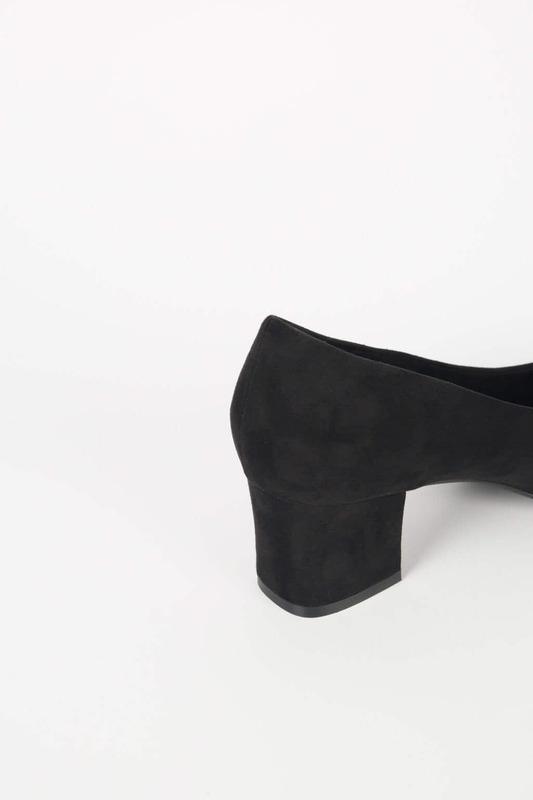 Fit: True to size Heel Height: 2" Available in sizes 6-10. If you are between sizes, our stylist recommends to size up.